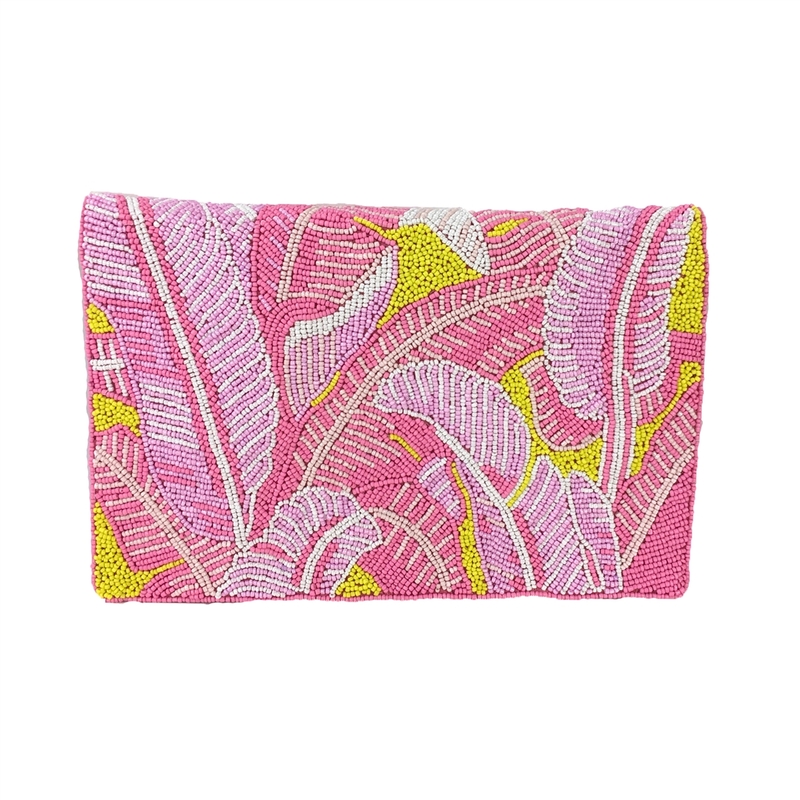 The From St Xavier Cordyline Clutch showcases a lush botanical pattern in shades of candy pink. 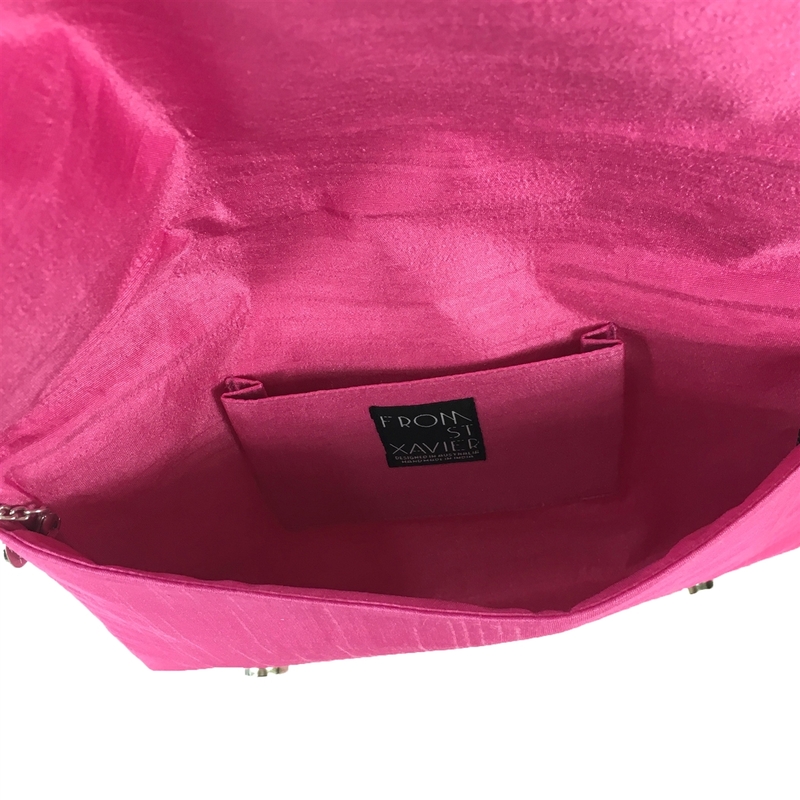 Delicately hand embellished with glossy glass beads, the bursts of canary yellow give this bag a fresh, vibrant look thats perfect for the warmer months. 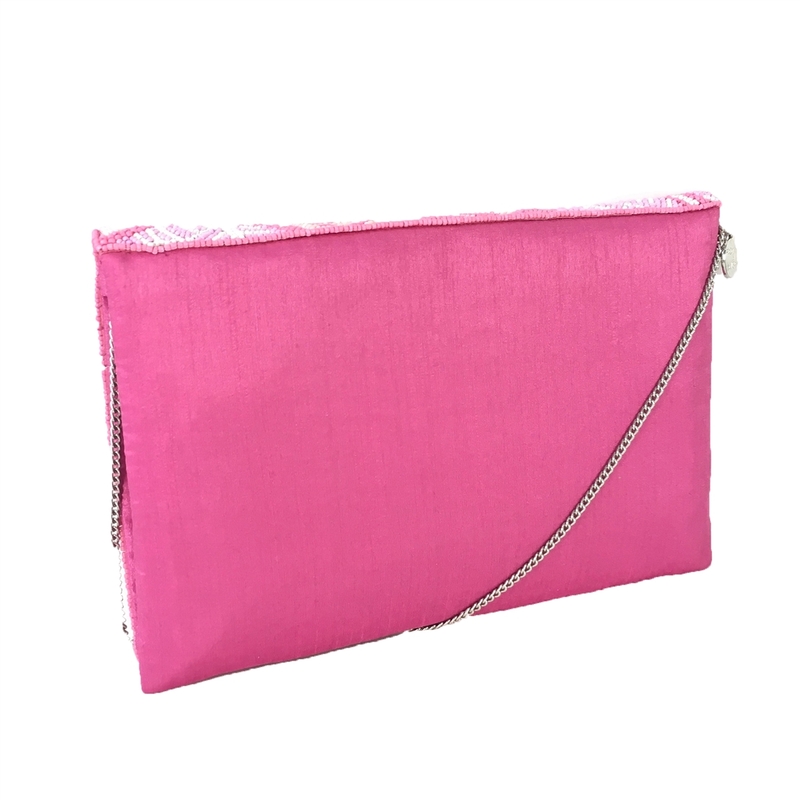 Convertible clutch in fabric and glass beads detailing. 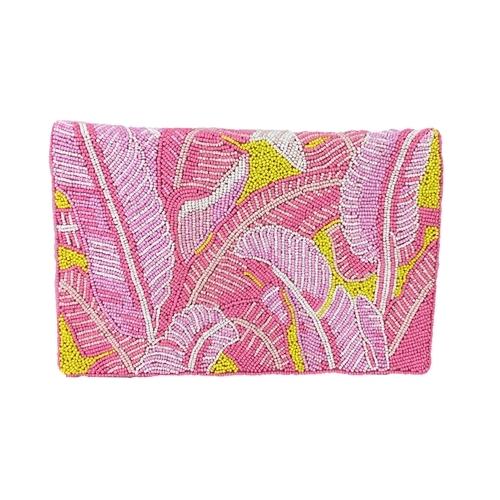 Front features a bright botanical patterned beaded design.